Our universal stainless steel elbows are perfectly suited for construction or repair of exhaust systems or Air Charge Piping or similar applications. 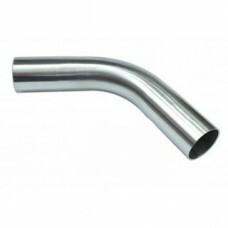 The elbows are made of stainless steel raw material and mandrel are in morn machines to prevent the curve from folding. So it's assured that the elbow has the same Inner diameter everywhere.